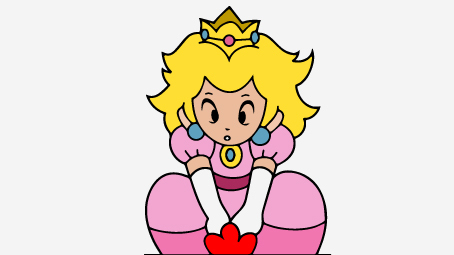 Princess Peach has captured the hearts and imagination of little girls all over the world. 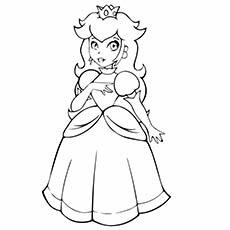 With her bright pink ball gown and her beautiful blonde hair, she represents every little girl’s dream of becoming a princess someday. 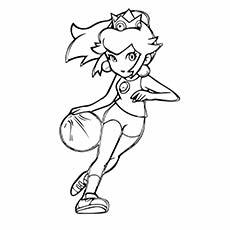 Princess Peach is constantly under the threat of being attacked by the villain who has captured her kingdom, The Mushroom Kingdom. 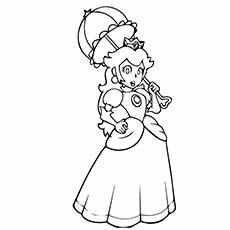 Therefore, she portrays the damsel in distress with relative ease. 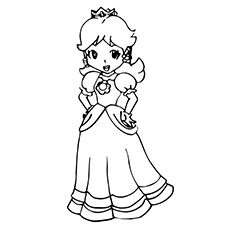 She also appears in the Mario games and is the love interest of the video game character, Mario. 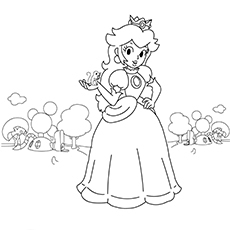 Let your little girl enjoy coloring these princess peach coloring pictures while she takes her own adventure with the princess through her vast kingdom. 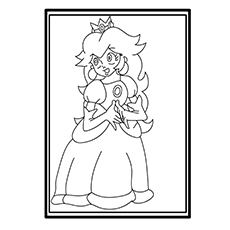 The Princess Peach coloring pages to print free are quite fun and fascinating and perfect for little girls who love the princess and the adventures she embarks on. 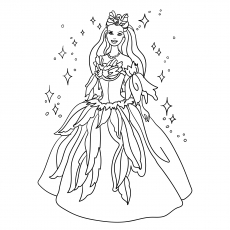 Your little girl will love experimenting with different colors for this picture. 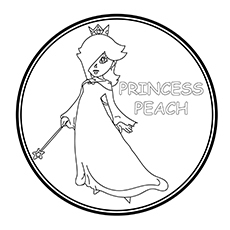 Your kid will also learn how to spell ‘Princess Peach’ as spelt in the corner of the picture. She could also color the alphabets. 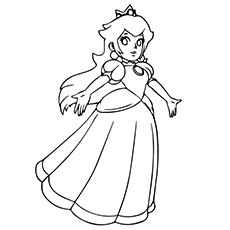 This drawing of the princess is cute and serves as an accurate representation. The full-length image will give your kid more liberty to choose a number of other colors. 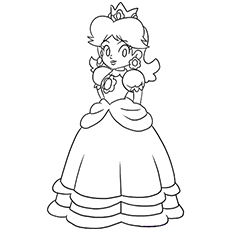 You could show an already colored picture of Princess Peach to serve as reference. This picture has a bit of adventure in it as it includes a dragon. 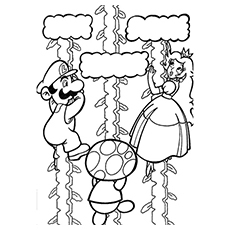 This picture has an added element to it, thereby making it interesting for your kid to color. The well-defined image will ensure that your kid colors within the lines. 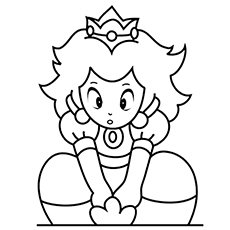 This picture is quite cute and shows the princess with a surprised expression on her face. 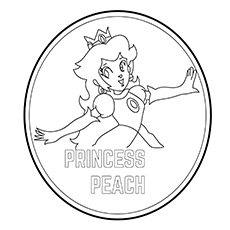 The large size of the image will improve your kid’s hand-eye coordination. Your little girl can use another color apart from pink to color the gown. 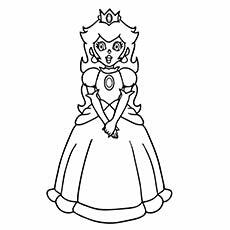 This picture showcases a baby version of the princess. This picture is apt for kids who are under the age of 5 years. Your kid will be introduced to a new avatar of the princess. 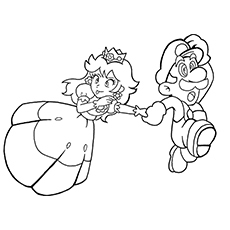 This picture showcases Princess Peach and her love interest, Mario. Your kid will enjoy the various other character represented in the picture. 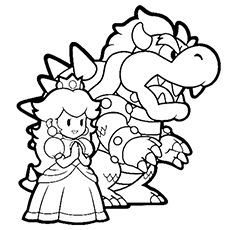 Coloring Mario should be a treat considering his colourful outfit as shown in the video games. 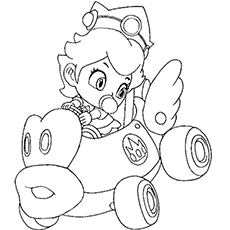 This picture showcases the baby princess in a car with wings. The interesting shape of the car will pique the interest of your kid. Your kid can experiment with various other colors when coloring the image. 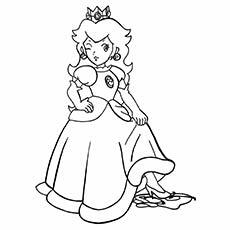 This picture showcases the princess sitting on a car. It is apt for children above the age of 7 years. The car in the picture should also pose a fun challenge for your kid to color. 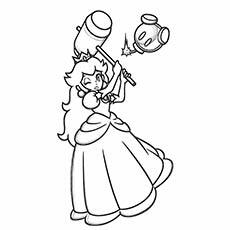 This picture showcases both Mario and the princess in action. It is quite interesting as it depicts a scene straight out of the video game. The mushroom is a great addition to the picture. 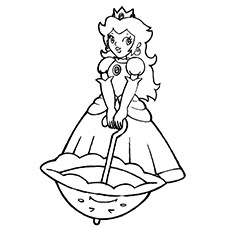 This picture showcases a happy Princess Peach with sun rays in the background. 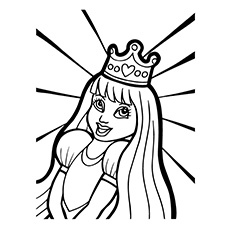 Your kid will enjoy coloring the princess with long hair and sun rays in the background. 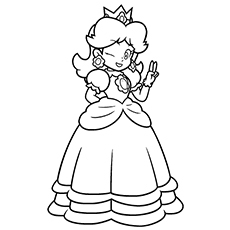 The picture, once colored, can be used as a poster for your little girl’s bedroom. 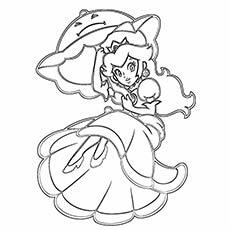 These free printable Princess Peach coloring pages online are fun, colorful, girly and fascinating. They are the perfect pastime for your little girl, especially if she is a fan of the character. 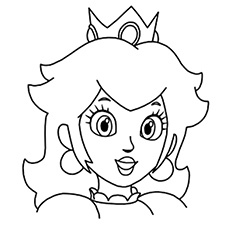 Let her imagination grow wild with these princess peach coloring pages free.